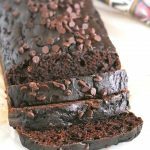 This your ultimate chocolate quick bread- moist, flavorful, rich chocolate chip loaf bread studded with pecans and chocolate chips. A true chocolate delight! Every time a chocolate treat is in the works, anyone in our house gets stopped in their tracks to check out what is baking or what deliciousness is about to emerge. Sometimes, a simple “hmm chocolate…” signifies their anticipation of the baked goodie and it tells me that chocolate is a winner in the house. I can’t blame them though. Chocolate is generally loved by anyone. Not only for its bitter, sweet, luscious addictive flavor. There is something in chocolates that equates them to the word special. We give chocolate as gifts. We gift them on Valentines. They glitter like gold come Christmas time. And when you just want any given day or an ordinary moment to be special, grace it up with chocolate and you have pretty much have done it perfectly. This Chocolate Chip Loaf Bread is our special, our delight on a weekday just because special can be any given time just with a simple chocolate treat. 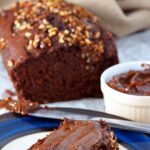 This chocolate chip loaf bread is moist and flavorful with substantial texture coming from the pecans which are mixed in the batter and then some sprinkled on top. Of course, the chocolate chip toppings are non-negotiable. To make this quickbread, you start off with the classic creaming method, that is, creaming the butter and sugar until the mixture is creamy. The eggs are added one at a time, beating well after each addition. Gradually add the flour mixture, alternately with the buttermilk. Then, fold in some of the pecans. Pour and scrape the batter on a greased 9×5 inch loaf pan. Bake for 20 minutes then sprinkle the chocolate chips and the remaining pecans. Bake for 30-35 minutes or until a toothpick inserted at the center of the bread comes out clean. What is even more special is the chocolate honey butter that you spread on the bread. 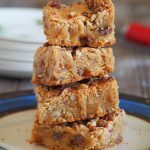 Slather it generously and each slice is a complete delicious treat of nuts, chocolate chips, and a total chocolate goodness! 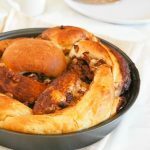 Much like a comforting hug, or a warm blanket or a much needed cheer me up on a crazy day, this bread will make you feel special. Preheat oven to 350 F. grease a 9x5 inch loaf pan. 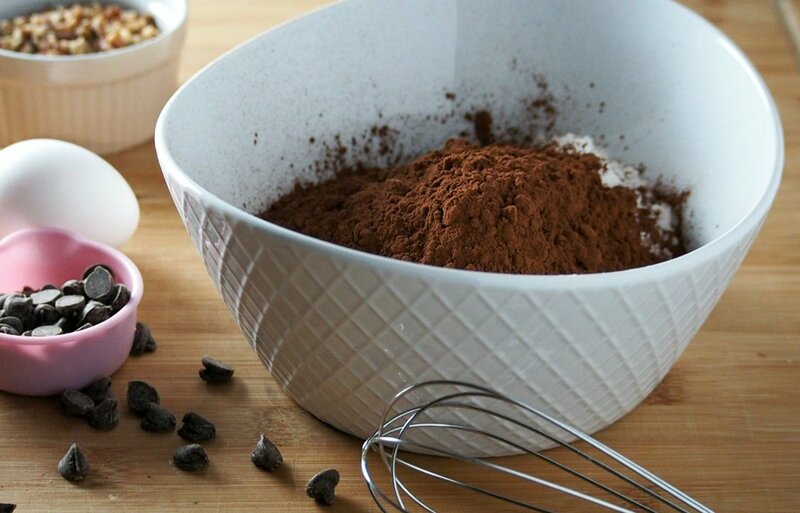 In a mixing bowl, Whisk together flour, salt, baking soda, baking powder, and cocoa. In another mixing bowl, beat together the butter and sugar using a hand-held mixer or a stand mixer. Once the mixture is creamy, add the eggs one at a time. Beat each egg to incorporate it well before adding the next one. With the mixer on low, gradually add the flour mixture, alternately with the buttermilk. Fold 1/4 cup pecans using a rubber spatula. Pour and scrape batter into the prepared loaf pan. Bake for 20 minutes. Sprinkle the remaining 1/4 cups of pecans and the chocolate chips. Bake for another 30-35 minutes. A toothpick inserted at the center of the cake should come out clean. Let the pan cool slightly in the wire rack, then remove from the pan to cool completely. 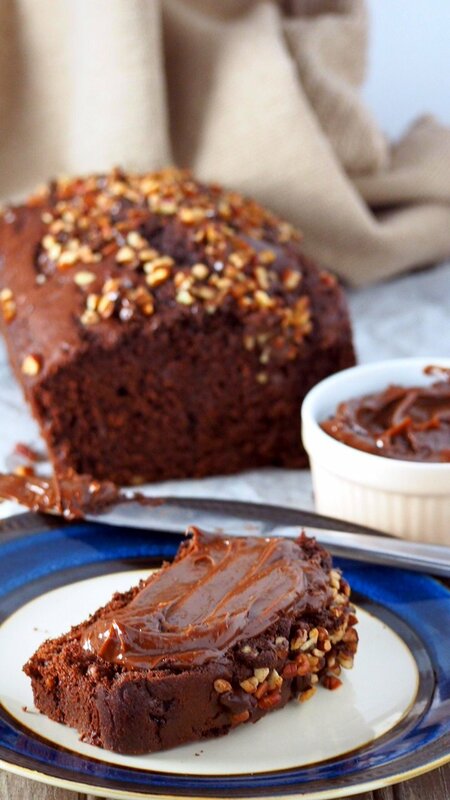 Spread the chocolate honey butter on the bread slices upon serving. Ina microwave-safe bowl, heat the chocolate chips for 20 seconds at a time, until the chocolates are soft and stirrable. Stir the chocolates. Beat in the softened butter and the honey until the mixture is smooth and creamy. Recipe adapted from Very Best Baking by Nestle. Post contains affiliate links. See my disclosure page to learn more. You had me with the bread recipe, it looks amazing. Then you add the For the Chocolate Honey Butter – OH YUM! Oh my this looks delicious! 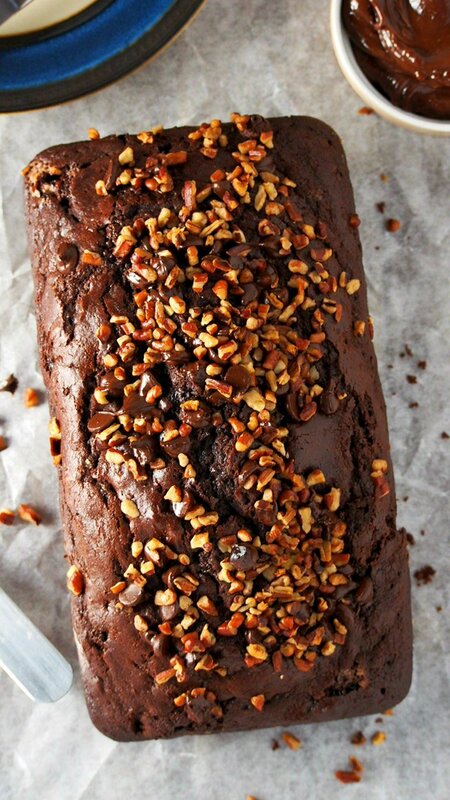 I’ve never made chocolate bread before, but this is the perfect reason to break out my Kitchenaid! Wait. Forget the bread (not really, it looks delicious!) and let’s talk about that CHOCOLATE HONEY BUTTER. That sounds amaaaaaazing! You are so right chocolate does equate to the word special. Chocolate ice cream feels ‘more special’ than vanilla or strawberry. Yes, I’m a guy sitting at home wanting something made with chocolate. 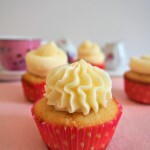 The ingredients are in everyone’s pantry, so simple to bake, even a guy can do it! 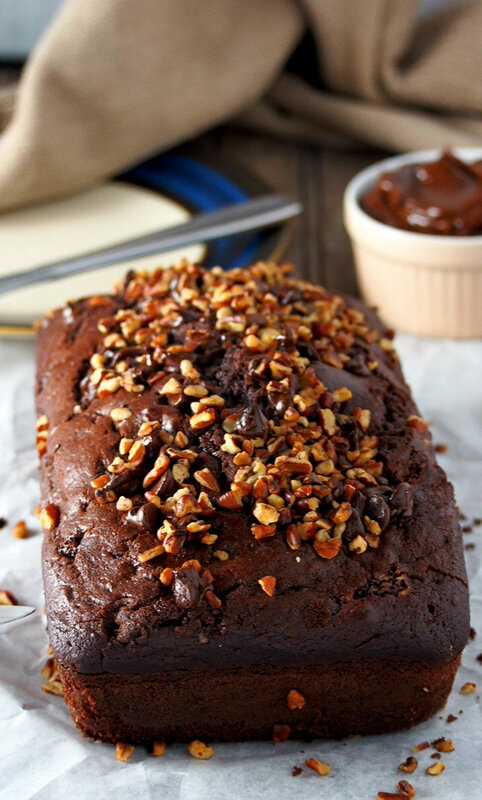 Delicious warm chocolate bread with chocolate chip honey butter smothered all over! Enjoy with a tall glass of milk or a cup of coffee!